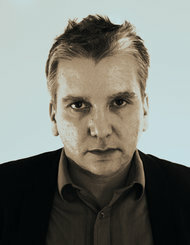 Seminary Co-op is pleased to partner with Repeater Books in offering a free Repeater backlist title to the first 25 readers who preorder K-punk: The Collected and Unpublished Writings of Mark Fisher from 2004 - 2016, which brings together the very best work of acclaimed blogger, writer, publisher, political activist and lecturer Mark Fisher (aka k-punk) who died in 2017. Learn more about Repeater Books and join us Fri. 1/18 with Jacobin's Micah Uetricht and Repeater Books co-founder Tariq Goddard for a discussion at the Co-op of Mark Fisher's work and legacy. A comprehensive collection of the writings of Mark Fisher (1968-2017), whose work defined critical writing for a generation. 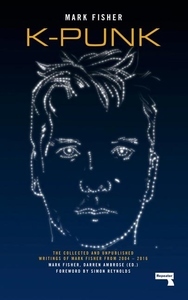 This comprehensive collection brings together the work of acclaimed blogger, writer, political activist and lecturer Mark Fisher (aka k-punk). Covering the period 2004 - 2016, the collection will include some of the best writings from his seminal blog k-punk; a selection of his brilliantly insightful film, television and music reviews; his key writings on politics, activism, precarity, hauntology, mental health and popular modernism for numerous websites and magazines; his final unfinished introduction to his planned work on "Acid Communism"; and a number of important interviews from the last decade. Edited by Darren Ambrose and with a foreword by Simon Reynolds. Micah Uetricht, Tariq Goddard, and Sarah Hurd - "k-punk"